Today I’ll take you through the journey of Azure Backup Server. Microsoft initially ran project with code name “Venus”. Now this is part of the OMS Suite (Operations Management Suite). For people who out there familiar with System Center Data Protection Manager think this is as DPM minus Tape drive support (and it’s free too ). No capital expenditure is needed for on-premises storage devices. 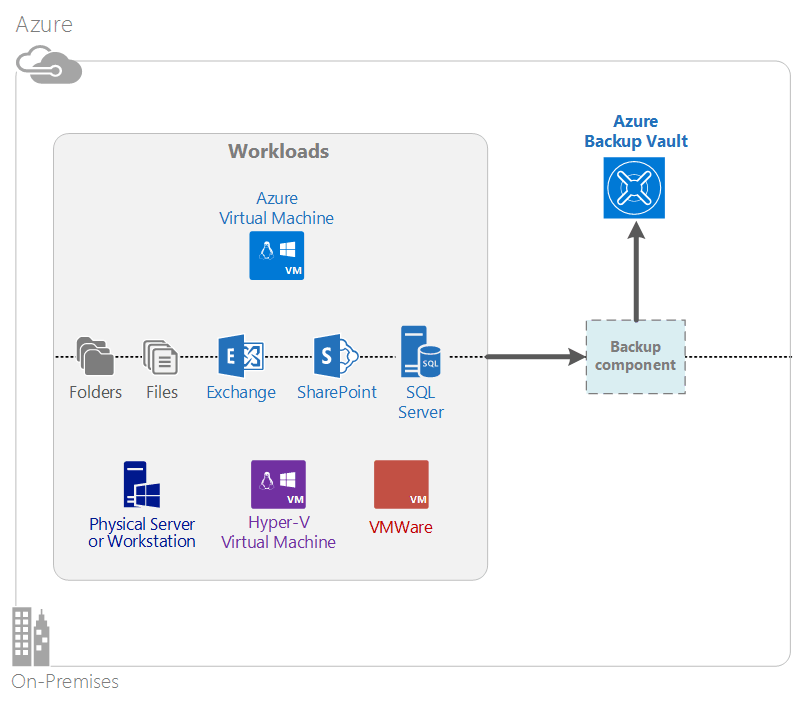 Azure Backup automatically allocates and manages backup storage, and it uses a pay-as-you-use consumption model. Take advantage of high availability guarantees without the overhead of maintenance and monitoring. Azure Backup uses the underlying power and scale of the Azure cloud, with its nonintrusive autoscaling capabilities. · A locally redundant storage block blob is ideal for price-conscious customers, and it still helps protect data against local hardware failures. · A geo-replication storage block blob provides three more copies in a paired datacenter. These extra copies help ensure that your backup data is highly available even if an Azure site-level disaster occurs. There is no charge for any egress (outbound) data transfer during a restore operation from the Backup vault. Data inbound to Azure is also free. Works with the import service where it is available. Data encryption allows for secure transmission and storage of customer data in the public cloud. The encryption passphrase is stored at the source, and it is never transmitted or stored in Azure. The encryption key is required to restore any of the data, and only the customer has full access to the data in the service. Application-consistent backups on Windows help ensure that fixes are not needed at the time of restore, which reduces the recovery time objective. This allows customers to return to a running state more quickly. Rather than pay for off-site tape backup solutions, customers can back up to Azure, which provides a compelling tape-like solution at a low cost.